CROSSING THE SCRIPTURES is a Bible Study supplement for anyone who wants to know more about each of the 66 books of the Old and New Testaments. I've posted a number of "snippets" from this book on my blog that show the divine links between Old and New Testament books and the Hebrew alphabet. This new way of approaching the Scriptures will edify even those who have spent years studying the Holy Word. 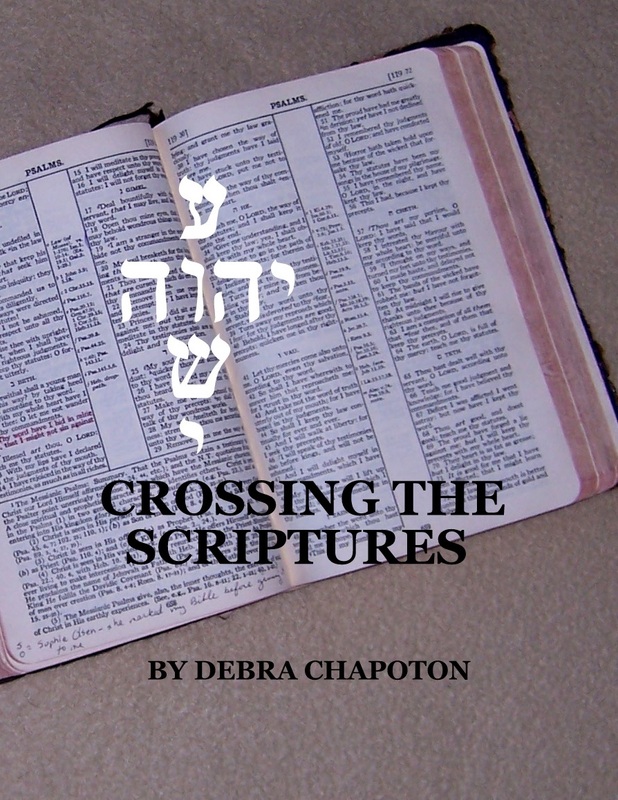 The 22 letters of the Hebrew alphabet connect three times each with the 66 books of the Christian Bible. 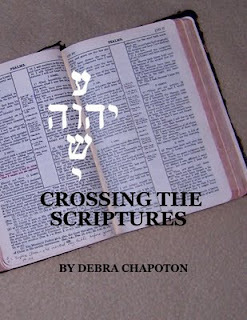 CROSSING THE SCRIPTURES matches each letter to each book, in order, three times, so the reader can observe the amazing connections between books that are spaced exactly 22 books apart. It's pretty cool. This sounds pretty interesting, I will have to check it out. Thank you for stopping by my blog, and the nice comments. I now follow you. Hope you're having a great day.